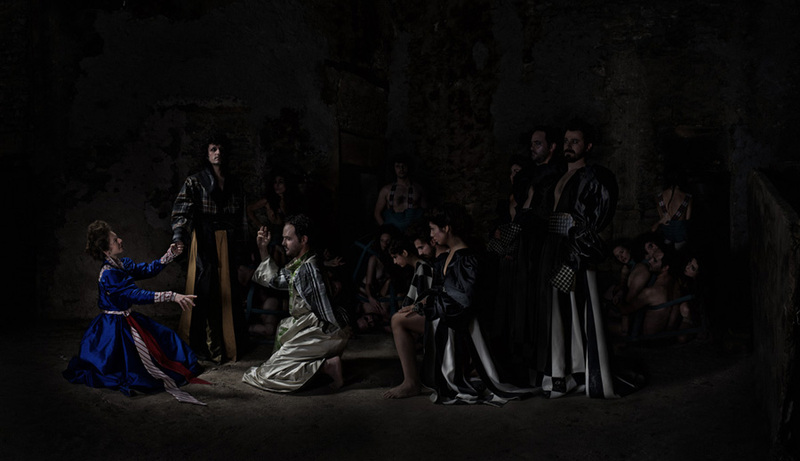 "The Scottish Tragedy" is a series of images born from a collaboration with wardrobe designer Lluna Albert whose purpose is to explore the dialogue between different artistic media: theater, wardrobe design, photography and painting. Loosely based on Shakespeare's Macbeth, this work evokes the fundamental emotions of the play, in which Macbeth and Lady Macbeth, spurred on by their “vaulting ambition, which o’erleaps itself”, overcome their qualms and carry out that which Macbeth rather fears to do than wishes to remain undone: murder Duncan, their King, to seize the throne and reach the summit of power. But that summit will reveal itself as a place of restless anxiety where, tortured by their own ghosts, and, on a path of no return, remorse and isolation will lead them to despair and perish. Written four centuries ago, this allegory of a society that is always pushing us to get further and the loss of contact with reality that this entails still has deep resonance today. Wardrobe plays the leading role in this mise en scène. In each of the pieces, the singular interaction of forms, textures and color brings life to a particular character of the play, into which the actor is transformed when in costume. The costumes thus determine the point of view from which the story is told. The visual language is inspired by painters contemporary to Shakespeare. 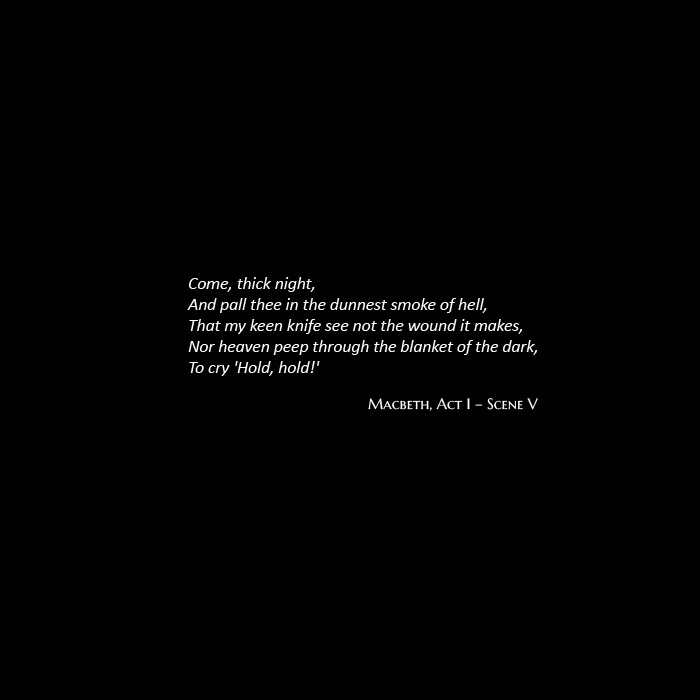 The dramatic illumination characteristic of painters such as Caravaggio and Artemisia Gentileschi suggests the scenes where the tragedy of Macbeth takes place.